Whichever way you approach Rani School you have to climb steeply for 1000m to reach it. The school is built on a couple of terraces high above the Timor River. It is so high and so steep that if you kicked your ball over the boundary hedge and fencing, it would take you a long time to retrieve it! Yet this school, with all the hardships of its location is probably the most successful of all the schools under the HTUK/REED project. Why is this so? The reasons are numerous and can be likened to the wheels of an old fashioned clock. When all the cogs fit together, all the wheels work together in unison. If a wheel falls out of line, all the wheels fail to function properly and nothing works as it should. The Head Teacher at Rani is a strong character who believes wholeheartedly in learning through experiences and the child centred approach. He is highly regarded by his staff and the local community. As a result he has been able to gather around him teachers who believe as he does. Not all of them have been brought up on the child friendly approach, but having received appropriate training from REED, they understand the benefits of such an approach in terms of the children’s attainment and their own job satisfaction. The teachers work hard to create stimulating lessons that engage the children, that makes learning an enjoyable experience, ensuring that they want to attend school. Education has opened their eyes to far more possibilities for their future and, once they have found what they want, they have something to aim for. The staff have given the pupils confidence and responsibility that they have lapped up avidly. The Head has involved the community in the life of the school. The School Management Committee, made up largely of parents, is very active in promoting the importance of the school among the community, and whenever there are jobs to be done the community sets about giving their support. By involving the community and emphasising the importance of education, the children now are fully supported at home. Not only do they have the SMC, but also a Parents’ Association and a Mothers’ Group, all working for the good of the school. 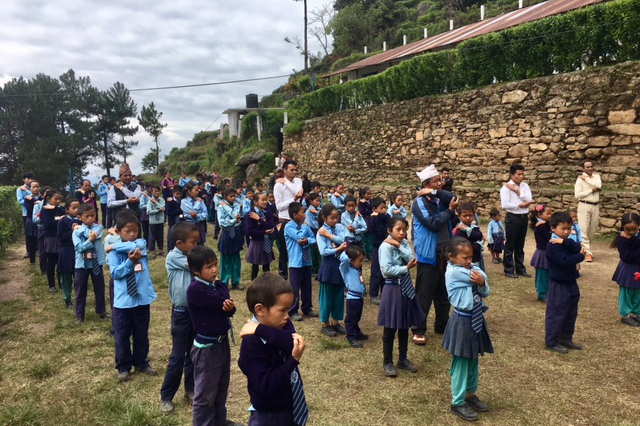 This may be a poor community of mainly subsistence farmers and it may be difficult to get to, but Rani School can be considered a beacon of hope to all schools in the region.